Bobby Fischer said that standard chess is dead and I believe him. Current players rely too much on engine-moves and theory in the openings and quite far in the middle-game without any real calculations, but memory. For instance, Carlsen had memorized engine-moves far into the middle game against GM Sergej Karjakin when playing white, which I find unfair. Chess960 allows for 960 different positions to begin the game and no GM would be able to analyze every start to the current extent. Thus, chess960 would rely on raw talent and calculations. Why isn't it the standard nowadays? Chess players identify with their openings, all chess clubs have that one guy who always plays stodgy London stuff with white, the maverick with all his dodgy gambits and the youth player with 25 moves of Najdorf theory memorized for the day he finally gets to play it. Opening books are by far the most sold type of chess book, and the number of titles is much larger than that of other types of book. People write hundreds of pages of grandmaster level analysis on a line that starts on move 6 and still lots of amateurs buy the books. When an amateur watches a grandmaster game live, he uses knowledge of the opening played to understand what is going on. If they play a King's Indian and the center is locked, one of them is going to attack on one wing and vice versa. If it's a closed Ruy Lopez, we know there's probably a slow maneuvering game coming up, et cetera. Playing memorized opening theory gives the amateur the feeling that for that part of the game at least, he is playing at grandmaster level. In other words, chess players like opening theory. To start with, standard chess in its current form has been the standard for a well over a century. It is well known and well established. It also enjoys a fair amount of popularity. It is widely seen as a test of intellectual prowess (even if that prowess often fails to transfer to other fields) in which luck has no effect in the game (even if that's not 100% accurate). Assuming the Wikipedia article about Chess 960 is accurate, Fischer announced his variant to the world in 1996. Thus 960 is still relatively new and unknown. While I've been playing chess off and on for 45 years, I've still never played Chess 960, nor even watched one game. I suspect that if you asked the average person on the street what Chess 960 is, they wouldn't be able to provide an accurate answer. I also believe that a lot of people wouldn't like a game in which the pieces start in different positions every time; especially one they've already known which always starts with the pieces in the same positions. Additionally, luck can play a part in the game, which takes away from the purity of intellectual prowess that attracts some to chess. Overall, this is my way of saying that standard chess remains popular; I'm certain it has more broad popularity than Chess 960. Also, it is a more established history than 960. Time will tell whether 960 increases in popularity, stays an interesting variant of the standard game, or turns out to be a fad. However, given standard chess' head start, I believe it will continue to remain the standard for the foreseeable future. Also, as noted by lenik's answer, chess is enough of a challenge for most of us who play it. 99% of the chess players will never reach 1500 rating, so for them the standard chess is quite good enough. Chess960 is interesting variation along with "atomic" chess and others, but the niche is quite small and I'd say it's dead as well as its inventor. For one thing, this would make tournaments and rankings a bit difficult because the games are not identical. Also, adding to what GreenMatt wrote (that the current one has been around for much longer), Chess is popular not only because it's an interesting game, but because it's popular - everyone is playing it. There are other interesting games, and I assume you'll find some fans of those games who will tell you they're better than Chess. But popularity is self fulfilling. Just like (other) marketing. You'd have to convince many people to switch in order to convince many people to switch. Top players are still able to find interesting opening novelties. Therefore to them, chess is not yet "played out." As time goes on, it will get more and more difficult, and the interest in FischerRandom will increase. 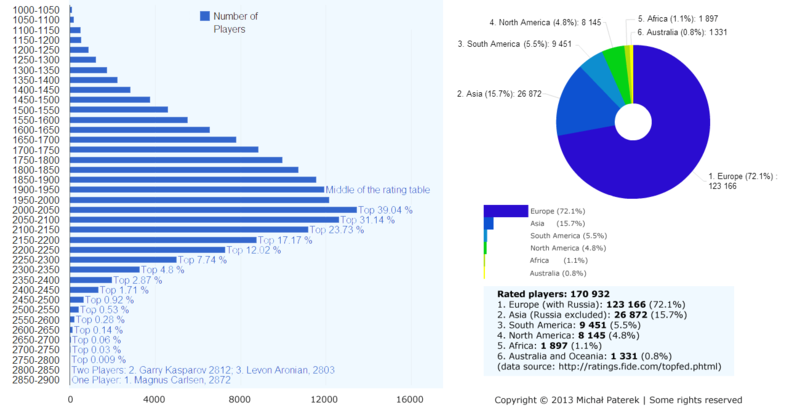 Amateur players overwhelmingly do not seem to like Chess960 compared to professional and top players. This was mentioned by WGM Jennifer Schehade. While GMs are able to navigate the increased complexity of chess960, amateurs do not have their usual reference points and memorized moves, thus it puts them into a deep think from the very first move, and so is more difficult. There are a couple hundred years of the standard chess opening, and this has ingrained itself in the minds of many players, who have memorized a lot of openings. They fear losing out on all this knowledge, firstly, but secondly, because they are so familiar with the initial starting position, many persons feel it is more "harmonious." You will find other emotional terms frequently mentioned, whereas it likely just comes down to familiarity. Had there been a different start position for the past couple hundred years, people would be attached to it just like they are to the current position, and rationalizing it as the best starting position. Publishers and writers of opening books have a vested interest in chess960 not succeeding, because it would mean an end to their book sales. There is, eg, one prominent opening authority who has denigrated chess960 repeatedly. It could also be that they are attached to the beauty of current opening theory. The problem with draws and memorization of moves is only relevant for the chess professionals and chess fans. To anyone who has not played in a tournament, the game has plenty of complexity. While chess960 is the most common chess variant, there are always adherents of others which prevents any one from gaining undisputed status - eg, Seirawan-Harper chess, Finesse Chess, Capablanca chess, Bronstein chess, and so on. If one is to modify the game of chess to make it more dynamic, the question becomes why choose Chess960? There are many options beyond that particular choice, for example Chess480. Many also dislike the exact specifics and typicall playing dynamics of Chess960 and have proposed changes. Specifically, for example, the castling rules. I personally hope the rules of chess continue to evolve, but I hope they evolve in a less dramatic fashion than Chess960 proposes. Still, I believe that 'classical chess' will be around for a long time, and I don't think Chess960 has yet established itself as the only viable extension of classical chess. There are many chess variants, some of which are quite close to the usual game. Not the answer you're looking for? Browse other questions tagged chess960 or ask your own question. What are the basic principles to play chess960? Is there a formula that converts a number from 0 to 959 to a corresponding chess960 position? Chess960 vs. Chess480 castling moves? Which is better? Is Chess960 a desirable alternative to classical chess?